New York is the historic home to many famous and influential American writers including the master of the macabre, Edgar Allan Poe. 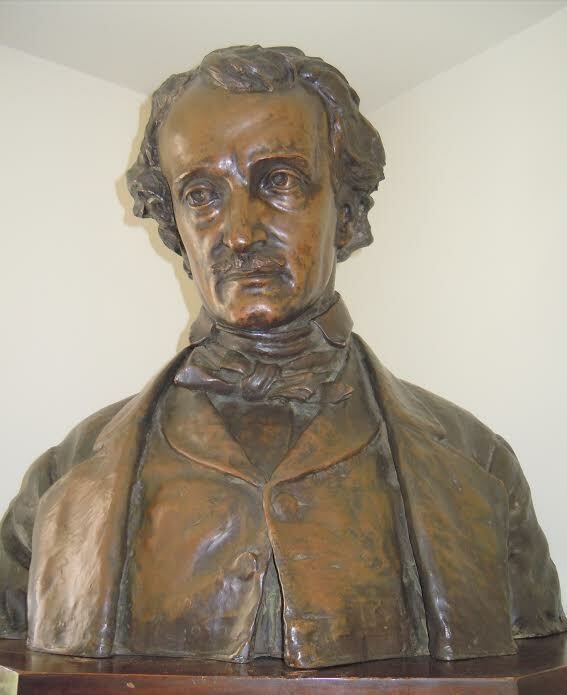 Originally from Boston and later Richmond, Virginia, Poe moved several times during his forty years trying to find the literary recognition and fame he believed his work deserved. Poe was the leader of American Romanticism with works like "The Raven," "The Black Cat," "Annabel Lee," and "The Fall of the House of Usher." The Edgar Allan Poe Cottage, located in The Bronx, was Poe's last home and is now open for the public to take a look inside the daily life of one of America's finest and most misunderstood authors. Believed to have been built in 1812, when Poe moved into the cottage in 1846 it looked over a pastoral landscape and down towards Long Island across the water. He chose this quaint farmhouse in the hopes to cure his ailing wife, Virginia, who was dying of tuberculosis. However, the fresh country air did not save Virginia's life and two years later, Poe himself died under an air of mystery in Baltimore, Maryland. Though the neighborhood and views have changed, the cottage has been refurbished and is now decorated with period furniture and some pieces believed to have been owned by Poe and his wife. The Bronx Historical Society, which curates and restored the cottage to its original state, leads guided tours through the house to bring the history of an American genius to life. Learn about Edgar Allan Poe's life, work, and motivations from the film presentation and from the highly knowledgeable guides. See the bed in which Virginia died, the rocking chair where Poe sat, and other artifacts that make the house seem as if the couple just left the room minutes before you arrived.